The two day Algonquin Park canoe trip is perfect for those looking to try canoe camping or gaining a bit more experience canoe tripping. Let us worry about the details such as campsite bookings and getting your gear ready. We can even provide backcountry food packs to make this a no hassle way of experiencing an overnight trip into Ontario's signature wilderness park. For those looking to just paddle in, Cannisbay and Crotch Lakes are perfect. From Canoe Lake, Farm Lake or Sec Lake you will find portages into surrounding lakes for those wishing to venture a bit further. 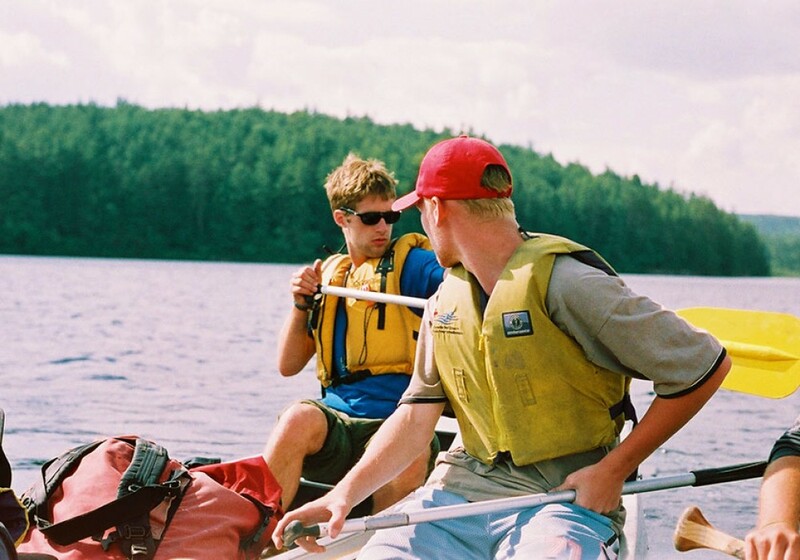 Whether you are interested in simply lounging around camp, looking for wildlife or testing your luck fishing, we provide all the necessities required to have a safe and enjoyable two day Algonquin Park experience. Clothing for variable weather including hat & sunglasses, swimsuit, etc. Rental rates are subject to HST. A credit card imprint (Visa or M/C) is required for any trip plan. All package prices are per person based on a minimum 2 people. We do not recommend carrying in water or beverages for longer trips due to the weight. Remember that Algonquin Park has a no bottle & can restriction. Note: We will call to confirm and finalize details & pricing of the additional services you select. Website reservation prices at checkout DO NOT include these additional services. We will pick you up from the nearest bus station and bring you to our outdoor stores to gear up. Listed below are the bus stations we service. Please refer to SHUTTLE SERVICE tab below for specific pricing. We service all Highway 60 access points between the West and East Gate and beyond. We also service the entire east side of the park from Whitney to all Sand Lake Gate locations including Achray and the Petawawa River. For Specific Access Points & Pricing, please refer to ACCESS POINT DELIVERY in the main menu. We provide vehicle transportation from most locations around Highway 60, as well as the entire east side of the park from Whitney to all Sand Lake Gate locations. Please refer to SHUTTLE SERVICES in the main menu for specific pricing.